In December, I put the winter cold on hold for a little while and spent my holidays in sunny Australia. I’d never been before, and since it’s a rather out of the way sort of place, I wanted to make sure I could squeeze in as many Australian experiences as possible in only two weeks. Anticipating all of the long plane trips, airport layovers, and lazy lounging on the beach, I queued up an Australian-themed reading list on my Kindle so that I was ready to dig in the moment I left my apartment in Japan. Gotta say, vacation theme reading was pretty awesome. My list wasn’t too ambitious, consisting of two public-domain classics and one recommendation from an Australian friend, but it was fun to get to see things I’d read about only days after I’d read about them. The bush setting in each book was a bit far removed from the city-scape that we toured, sort of like going to Manhattan and reading books set in the Appalachians, but it also gave me a window to a few of the more remote places we were only able to see from the airplane. 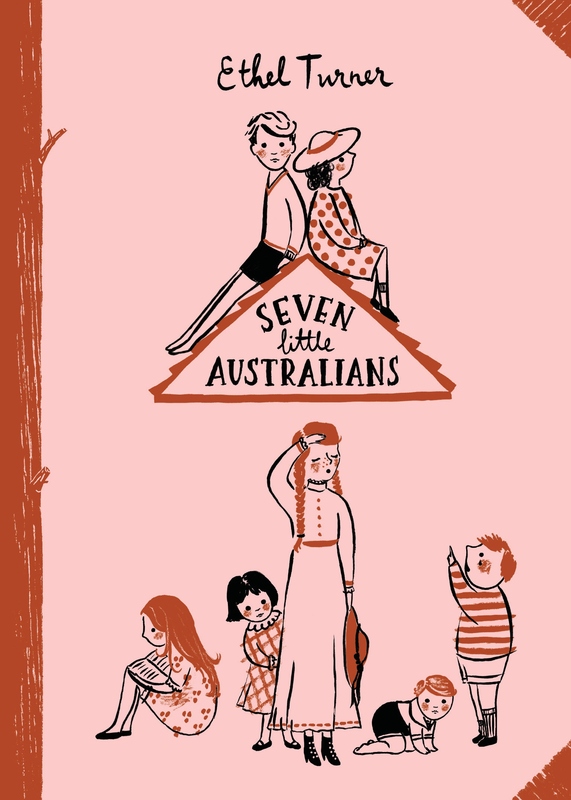 This classic children’s novel is set in Sydney the 1880s and features the misadventures of the Woolcot children, their strict army father and their young stepmother. The episodic stories are both funny and occasionally bittersweet, especially the tearful ending. The book is similar to other family-centric dramas and feels very much like a meeting of The Sound of Music with Little Women. The book’s original manuscript is kept at the State Library of New South Wales, and though we passed the building on our walking tour of Sydney, we were there too late and it was already closed. Oh, well. This book is in the public domain and can be found for free at Project Gutenberg. Another classic, about a headstrong girl from a newly poor family who is sent to live with her more well-off relatives. 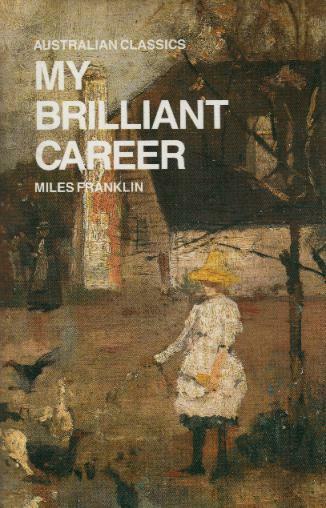 Sybylla is intelligent and imaginative, but she spurns romantic attachments and resigns herself to a lonely life in pursuit of her “brilliant career,” though the novel ends without any indication she’ll be able to do this. Ellie and her friends leave their homes for a camping trip and come back to find their country invaded by a foreign power. Every resident of their small town has been gathered up by the invasion force, so Ellie and her friends must not only survive on their own, but stay undetected if they want to stay free. Yet with their families gone and no way to reach them, the group quickly comes to a decision that they need to be doing more. With only their wits and the things left behind in the aftermath of the invasion, Ellie and the others begin small-scale guerrilla sabotage against their invaders, in hope of someday returning to the normal life they’d taken for granted. 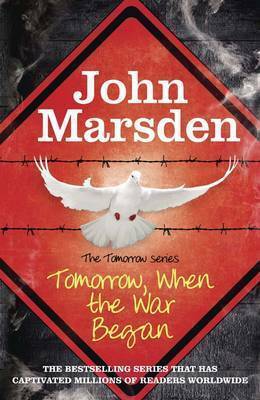 Since it’s publication, the Tomorrow series has been a perpetual favorite among young Australians. I was recommended this book by a good friend, who read it in school, and it’s easy to see why the book is so popular. The narrator has a voice that draws you in and makes you care about the characters so much that by the twist at the end, you’ll be on the edge of your seat. While the distopia trend is running its course in YA literature, I found this book a refreshing departure in that it focuses on the beginning of the change from normal, as we and Ellie understand it, to something so beyond our everyday experiences. So, there you have it! I enjoyed this so much that I’ll probably try to do it for every longer vacation I take. Have you ever done something similar?